Create a customized plush dolphin for the little dolphin fans in your life! Pick the perfect fabric in their favorite colors to make your new pet come to life! Your pattern comes with two fun activity pages for kids to make it even more fun and interactive including a dolphin coloring adoption certificate to make it official! 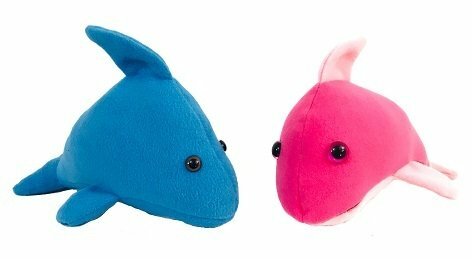 - instant access to 1 PDF sewing pattern with instructions and pattern pieces to make a 14" plush dolphin. Instructions include photos to help you make your new under the sea friend.